This new HBO® comedy series revolves around three thirty-something friends living in San Francisco, who explore the exciting, sometimes overwhelming, options available to a new generation of gay men. Friendship may bind them, but each is at a markedly different point in his journey: Patrick (Jonathan Groff – "Spring Awakening") is a 29-year-old video game designer returning to the dating world in the wake of his ex's engagement; aspiring artist Agustín (Frankie J. Alvarez – "Smash"), 31, questions the idea of monogamy amid a move to domesticate with his boyfriend; and the group's oldest member, longtime waiter Dom (Murray Bartlett), 39, is facing middle age with dreams still unfulfilled. 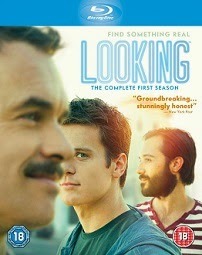 The trio's stories intertwine dramatically as they search for happiness and intimacy in an unparalleled era for gay men. A key aspect of the Looking mix is the progressive, unpredictable, sexually open culture of the Bay Area, with San Francisco serving as a backdrop for the group's lives.